Of course, The Black Watch never hold back from writing material; for fans, they’re almost always on your mind, like the fuzzier pop version of Guided by Voices. Today they announced a bunch of cool things, like a new LP featuring the great tune below, but they also seem to have put together a couple of fun compilations, you know, for the collectors out there trying to polish off their collection (one even has the band’s entire catalog on a USB). The guitar sound here is phenomenal, giving plenty of space for Fredrick to cast his hallowed croon while the rhythm section works beneath it all. This song appears on Magic Johnson, which will be released June 21st via Atom Records. 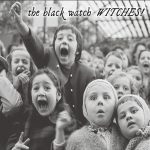 A few months after the release of Witches!, John Andrew Fredrick and the Black Watch return, ready to make you swoon in an entirely different fashion. 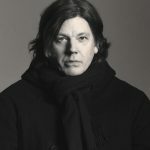 Up until now, 16 albums have been filled with Fredrick’s voice, but he’s released control, instead offering the opportunity for Julie Schulte to make her musical debut. While it’s the slightest change, it completely transforms things, moving the group into the realms of wondrous chamber pop; there’s this undeniable charm that will sway any listener. Not sure what it means for the next album from the group, which I’m hoping is just around the corner, but I don’t think anyone can turn away from this stunner. The band will also be attending this year’s SXSW festival! Having released an EP earlier this year, it only makes sense that prolific act The Black Watch return not too long after with news of a fresh full-length. I’m forever intoxicated by the guitar sound on their records, and the opening lines of this tune grab me immediately…just before vocals and band join in. There’s this calm that seems to hang in Fredrick’s vocal delivery; it carries melodic optimism that rises to meet up with the pace of the song. The accents on this track are pretty spot on too, from the cascading guitar in the distance to the plucking of strings in the front of the mix. Witches! will be released on July 22nd via Atom Records. Had the music business gone differently, I feel that we’d all be treasuring the work of John Andrew Fredrick and the Black Watch. As it is, he quietly goes about writing great song after great song; he’s about 17 LPs in and still writing powerful songs. This tune flirts with the realm of jangling pop, though there feels as if heavier tones are lurking in the guitars; the pop sensibility comes via the lines “he helped you make a paper boat/one for you/one for him.” Consider me charmed, and even more so when the song ups the volume on that complimentary guitar line. This is one of my favorite bands of the last few years, and it should definitely be yours too. Paper Boats EP drops on April 26th. It’s that silly time of year when we ascribe arbitrary rankings to the music created by our favorite artists. 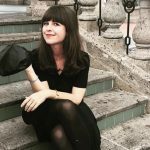 And, I’ve already seen a few lists from the likes of Paste or Rolling Stone (among others) that I find completely off the mark. 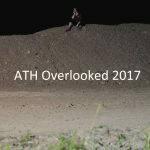 Now, our ATH End of Year list will be a team effort, so here is a list of records I adored that probably won’t end up on too many other “Best of Lists,” though I think they should! Again, no particular order, just ten albums you should enjoy. …that you might have forgotten about. 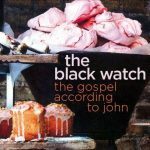 Before there were blogs and music streaming there was the Black Watch. Now, 15 albums into their career, the band have crafted what I’m going to say is their best work yet. Each time I play it, I’m struck by something that has me scrambling to press repeat, to tune into a note or an element I didn’t hear the first run though, even now as I speak, I’m doing just that. If you’re a fan of pop music and poetry, stream The Gospel According to John. And if you want my two-cents on the track by track breakdown, skip beyond the jump. Otherwise, pick up the album tomorrow courtesy of The Eskimo Record Label and Pop Culture Press. I’m trying to think of another band, let alone an individual, who’ve been as prolific as The Black Watch. They’re readying yet another LP, and with that comes the single cycle with another great hit. I’ve tried really hard to put into words how much the band’s music has meant to me, but I think the only words I can manage are to say that the band still don’t seem to have hit their peak, in regards to songwriting. This tune is filled with delightful noise, but carries a soft underbelly that allows melody to unfold at the bottom of the mix. From the jangling guitars turning over one another to the shattering percussion, it all culminates in a blissful song stretching over 5 minutes. The Gospel According to John hits on April 21st. 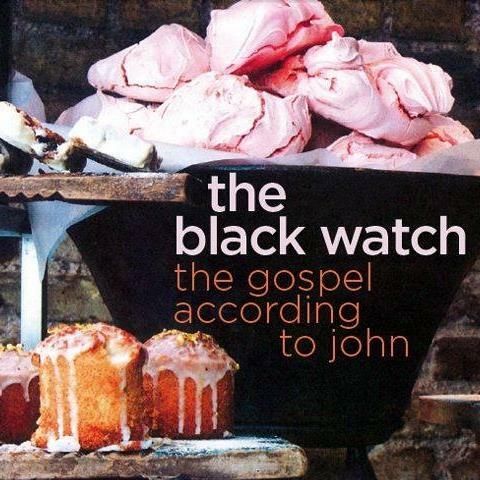 One of the band’s that never seems to stop recording and writing is The Black Watch. I couldn’t even tell you how many albums they have, but in each way, they all have something special to offer listeners. They’ve just offered up this stupendous new tune and video, which features frontman John Andrew Frederick traipsing about in the UK. On this tune, while I love the ring of the guitar, I’m really in love with the chorus. Frederick has great vocal control here, letting his voice melodically smooth out the edges as he hits each note. If you’ve yet to get into the band, then perhaps this is a great place to start, offering visuals and a song that will last in your mind throughout the rest of this week.